The spotlight is on the ladies as a colony of female worker ants rallies together to escape the confines of a young girl’s newly constructed ant farm. 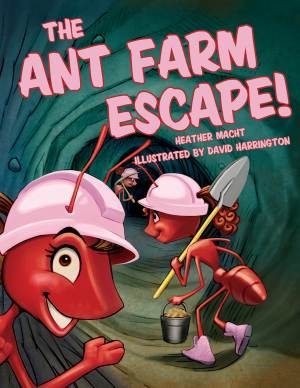 Clad in bubblegum-pink hard hats, boots, and ponytails, the industrious ants use teamwork and a variety of power tools, picks, and jackhammers to get the job done. Through this fun and funny mix of a rhyming adventure and natural science facts, children will learn all about ant habitats and habits.